I’m constantly fascinated by how delicately intricate, yet powerful the human brain is. When I began my journey of becoming a teacher / trainer I never expected to find myself studying neurology. While becoming a brain surgeon is very low on my priority list, we can learn a lot from that field of research, particularly how to get the most out of our training sessions and how to develop a skill faster. 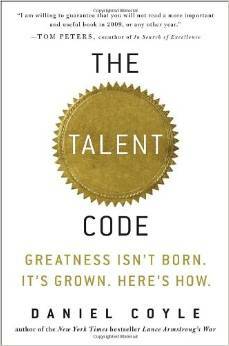 One of the recent resources I have come across was a book called The Talent Code by Daniel Coyle. 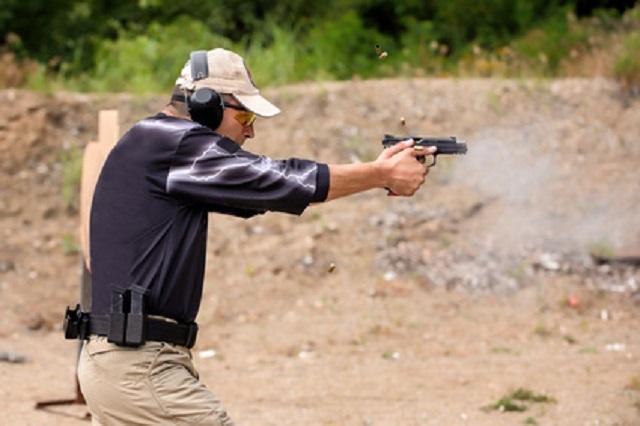 I’ve taken a few of the concepts he discusses in his book and applied them to firearms training in this article. Make no illusions, there is no shortcut to success. Even in firearms training, to be successful at a fast draw time, accurate rapid shots, smoother reloads and weapon transitions, you will have to put in the work. You will have to work hard, and repeat these motions thousands of times. You will struggle, you will fail and you will achieve small successes, which are the stepping stones to the next success. As you practice and train do not let your current achievement become a plateau for you. One example I want to point to is a young lady named Jessica Simpson. At 16 years old she hit the world stage with an amazing singing voice the media credited to her years in the church choir. I’ve seen a lot of good choirs, but none of those singers landed a multi-million dollar recording contract. What most people do not know is that Jessica who had a good voice, spent over five years from the age of 11 to 16 working with a voice coach, struggling, training, practicing and disciplining her voice. No one ever heard the flat notes, or the wavering vibrato behind the scenes, we only saw the smashing success and stunning talent that appeared, “out of nowhere,” that made Jessica an overnight success. Those years spent with her voice coach insulated the neural connections in her brain turning the microscopic threads into superhighways. When you learn a new skill you make a connection between multiple neurons. In my article, “Training to Fight… Neurologically Speaking,” we talked about learning how to ride a bike for the first time, how your brain made connections as you practiced and how it relegated tasks that required focus and conscious thought to your sub-conscious so you didn’t have to think anymore, you just hopped on and rode away. While I touched on the concept before I want to expand on it now. Keep this in mind as we discuss training and talent: Your conscious brain can process about 40 tasks, your subconscious brain can process 11 million. What that means, is that while you are learning, you are using your conscious mind to grasp, struggle and work through a new skill set. Whether it be a good consistent trigger press, or a crisp drive from one target to another, the first few hundred times you try this… you had to think about it and slowly do it. Over time and through repetition, you can now perform this skill without having to put conscious thought into it. This became a reality for me one night as a young deputy working a patrol beat. I was in a vehicle pursuit with a domestic violence suspect (who was also intoxicated). The pursuit ended when he crashed into a fence trying to get onto the freeway. I do not have any conscious memory of the following sequence of events: I stopped the car, put it in park, opened the door, took off my seat belt, and drew my firearm. All of those things happened automatically, because I had done all of them a thousand times. When I realized I was holding my handgun it stuck out to me, because I realized that my training kicked in when I needed it. The gun seemed to magically appear in my hand and I did not have to devote any conscious attention or split my focus to achieve that. It happened because I have a super highway, or a densely insulated neural connection in my brain that enabled that sequence of actions to occur. This insulation is called Myelin. Myelin wraps itself around the nerves and aids in the accurate and precise transmission of electrical signals between the interconnected webs of neurons. The more myelin you have around a particular set of neurons, the more precise the movement and the faster it can occur. The way you build myelin is to practice, struggle, and training- pushing yourself to excel when you reach a plateau. You build myelin through hard work. Before I give you delusions of grandeur about the astronomical capabilities you are capable of, there are two more key elements necessary to breed “talent.” The first is coaching or masterful guidance and the last is dedication through immersion. Michael Phelps holds 14 gold medals (18 total) throughout the course of his Olympic career in the 2004 & 2008 summer games. While he stands at the top of the world in his sport, he didn’t get there on his own. There was one man who stood behind him as his primary coach and an assistant coach to the US Team, and I doubt most of you have ever heard the name of Bob Bowman. Bowman began his coaching career around 1986. It wasn’t until nearly a decade later that he met a young Michael Phelps at the North Baltimore Aquatic Club. During his tenure in Baltimore, Bowman helped to produce 3 individual national champions, 10 national finalists and 5 USA National Team members. In recognition of his accomplishments, Bowman was named the USA’s Coach of the Year in 2001 and 2003. He was also named Developmental Coach of the Year in 2002. It was also during his work at NBAC that Bowman began coaching 18-time Olympic medalist Michael Phelps. Under Bowman’s tutelage, Phelps won five World Championship gold medals and was named the American Swimmer of the Year in 2001 and 2003. Bowman was named as an assistant coach on the 2004 U.S. Olympic Team, serving as the primary coach for Phelps. At the 2004 Games, Bowman helped coach Phelps to eight medals, including six gold medals and two bronze. Four years later, at the 2008 Beijing Olympics, he coached Phelps to achieve eight Olympic gold medals, which had never been done before in a single Olympics. Without Bob Bowman, the world never would have heard of Michael Phelps. Without an experienced and dedicated coach, Michael Phelps might not have broken records and earned Olympic gold. Without a lot of hard work, under the watchful eye of an experienced instructor or teacher who pushed, prodded, encouraged, criticized, corrected and maintained the same amount of dedication as the pupil, Michael Phelps would never have made it to the World Championships, let alone the Olympic team. Hard work and practice only go so far. You need a coach or a teacher to fine tune you towards success. When I started shooting, I thought I was pretty good. 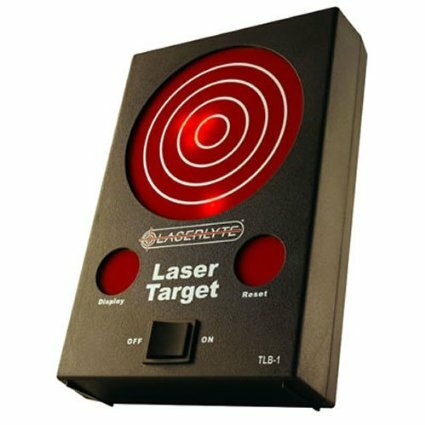 I grew up with guns and had spent a fair amount of my own money at shooting ranges throwing lead into paper targets. I found out during my police training that I was actually a terrible shooter with mediocre skills compared to the training staff who had over 150 years of combined experience. Over the next 80+ hours I was corrected, pushed, coached, guided, praised and criticized until I emerged near the top of my class and could consistently shoot in the 90th percentile. That training is ongoing and I’ve logged at least another 100+ hours since then just at work. Over the last 14 years of continual training at work, on my own, and under the guidance of other top shooters in my area did I really start to achieve what I deemed success at the shooting sports. I could have never gotten to where I am today without top notch instructors helping me. Looking back I realize what I thought was good…was deplorable and I’m grateful for the energy and effort I was blessed to receive. Due to that time, I am now able to step into the role of teacher, counselor and coach for new and developing shooters. When you seek to develop and become a good shooter it would behoove you to seek a competent trainer and coach. You don’t know what you don’t know and having an experienced eye to watch you, correct and encourage you will help you develop the skills you seek and build good myelin insulation. Finally you will need to be motivated to succeed. I would be willing to bet that Jessica Simpson was less than enthusiastic about going to her voice coach every time she had a lesson scheduled. I bet Michael Phelps looked at his snooze button more than a few times before his early morning practice sessions… yet both found the motivation to succeed. The best and easiest way to maintain your focus is by immersing yourself in your chosen sport/career/interest. As a shooter and firearms trainer I am immersed or surrounded by my interest. For example, I carry a gun daily which makes me constantly aware of concealment methods, belts and holsters. At every opportunity to dry practice or live fire practice, I do it. I read about firearms and attend trade shows so I can see what the market looks like and where the future of firearms is going. I read magazines, watch DVDs, and attend classes and try to stay up on trends, tactics and equipment. I buy tools and accessories and test and evaluate them to see if I should be doing something better or can a piece of kit help me do it better. My friends and assistant instructors share the same passions and we can debate endless hours about different firearms, accessories, training methods, techniques, ad nauseam. I’m motivated to train because I’m surrounded by like-minded individuals who also challenge me, encourage me and hold my interest in my chosen lifestyle of personal protection and training. There will be friction, there will be failure and success comes in tiny, sometimes almost imperceptible increments. Consider why there are only a handful of top performers in every sport or art worldwide. I truly believe it is because they pressed on even when they did not notice small successes. They pressed on when they mastered one skill and were pushed and guided by a coach or teacher to do better. There are a lot of boxers with Golden Glove Titles… only a few with a world championship belt. The path to success is getting from one failure to the next. I call this friction, or things that grind against me or obstacles I have to push past to achieve my goals. Friction is hot, it hurts and is discouraging, but it can be overcome. For more information on the study of myelin and how to develop talent, I encourage you to pick up a book called: The Talent Code written by: Daniel Coyle. The book was the primary inspiration for this article and he goes into much greater depth about all of the topics I’ve touched on above. Daniel Coyle does not discuss the shooting sports, but his chapters on golf, soccer and baseball have strong correlations. You can do it, you will have to work at it… it’s not going to be easy, but with a good cadre and laser focus you can succeed. Never give up in training, or in a fight! Be safe, God bless – Train on! Founder, One Weapon Any Tool www.oneweaponanytool.com or on Facebook!